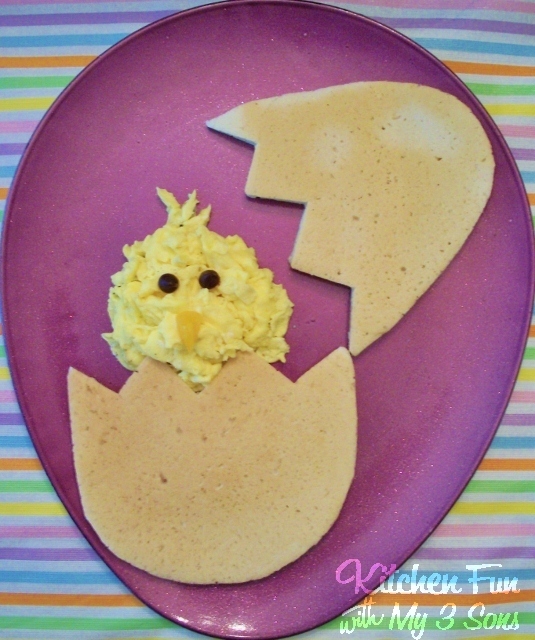 Jill found a fun way to dress up a pancake and egg breakfast for Easter. It is a fun meal to make for the kids at your Easter brunch. You can check out the details of this fun Easter chick pancake breakfast over on her blog, Kitchen Fun With My 3 Sons. I love her plate as much as the goodies! I'll have to look into that... Thanks for sharing.